Just before noon on Thursday morning, a man attacked a 42-year-old woman jogging in East River Park near East Houston. The attacker reportedly removed the woman's pants, but he left the scene when she fought back, according to CBS New York. The victim was taken to Beth Israel Hospital in stable condition, with minor bruises, DNAinfo reported. 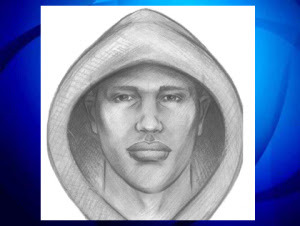 The NYPD released the above sketch of the alleged suspect. Police describe him as a light-skinned black or Hispanic male in his late teens, early 20s. He was seen wearing a grey hoodie and green sweat pants during the time of the incident.